It's always fun to dress your home with seasonal decor! And this shadow box from Foundations Decor is pretty AND versatile. 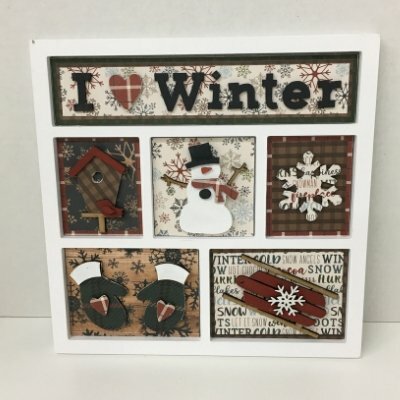 A magnetic backer piece allows you to create new panels for each season and add photos too! Join us as we collage, paint and create this fun piece! Choice of black or white frame. More classes to create panels for each season to come throughout 2019. Materials Included: Includes choice of black or white frame, seasonal panel kit, paper, glue and files. Requirements: Please bring basic tools like scissors, and inks if you wish to distress.